Shoulder Pain? We'll Take the Burden Off You. Shoulder Arthroscopy has been performed since the 1970s. It has made diagnosis, treatment, and recovery from surgery easier and faster than was once thought impossible. Shoulder Replacement Surgery for shoulder fractures was first performed in the United States in the 1950s. 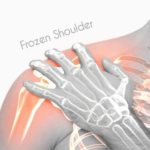 Over the last decade, Shoulder Joint Replacement is being used to treat many other painful conditions of the shoulder. Dr. Amyn Rajani is an Honorary Asst. Professor in Orthopaedics at Grant Medical College and JJ Group of Hospitals. He practices as a Consultant Knee and Shoulder Surgeon at Breach Candy Hospital, Saifee Hospital, Bhatia Hospital, Hinduja Healthcare and at his private clinic i.e. the Oaks Clinic in Mumbai. After being honoured with Gold Medal in Orthopaedics from University of Mumbai and receiving Dr. M. V. Sant prize and Lupin prize for excellence in Orthopaedics, Dr. Amyn Rajani took Subspecialty Training in the field of Arthroscopy, which included Knee Arthroscopy and Shoulder Arthroscopy and Joint Replacement. I would like to extend my sincere thanks to Dr. Amyn Rajani for taking timely action and healing my terrible Shoulder pain. I was initially nervous about my Shoulder Replacement Surgery, but Dr. Amyn Rajani assured me that everything would go well & it actually did go well. Extremely happy with the treatment. Thank you Dr. Amyn Rajani for treating my Shoulder SLAP Tear problem so nicely.